In this 4-week course we will make 3 different baskets starting with the Pine Needle Coiled basket with a walnut slice start. The next basket will be a Plaited Basket with Watercolour Paper which has a shoulder shaping and decorative curls. 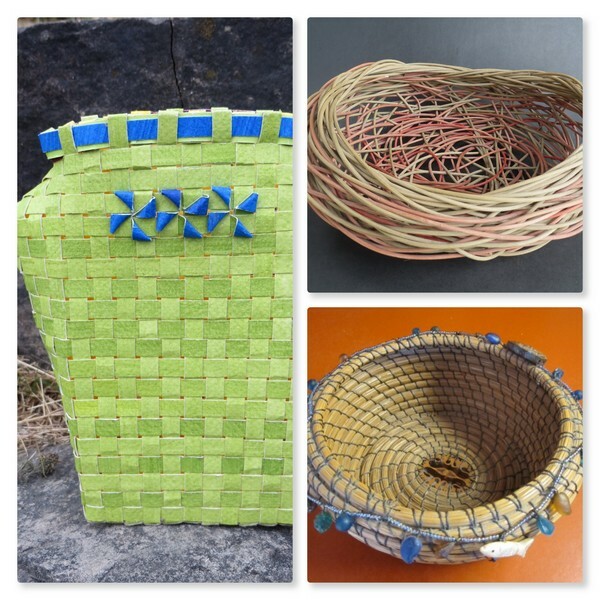 The final basket we make will be a Random Woven basket using dyed reed.